bring home memories of an unforgettable week of kitesurf, discovery and fun! 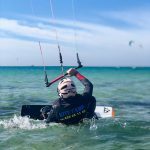 So what’s new in our Tarifa Camp? Well, read below: great news! 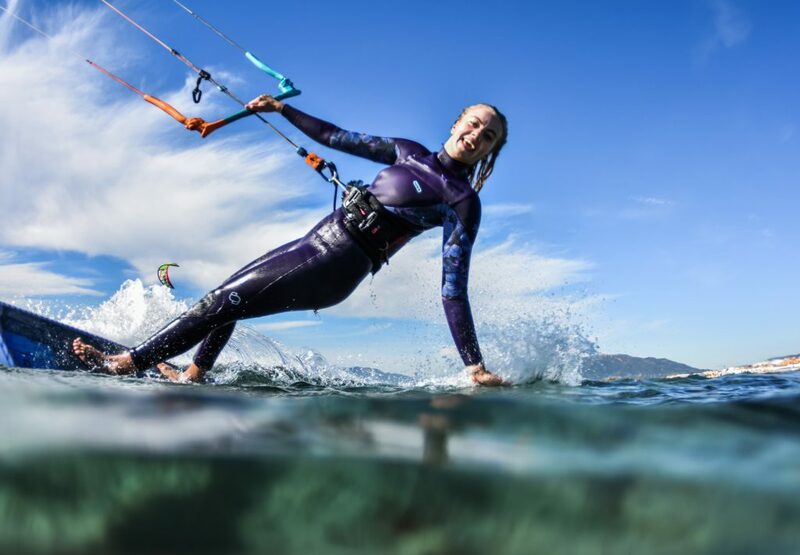 For our Tarifa Kitesurfing Camps, we have teamed up with Pro Rider Catharina Edin who is 4th in the world ranking list of strapless freestyle. 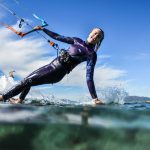 The Swedish talented kitesurfer has also become (as us) part of the cosmopolitan community of Tarifa, and spends as much time here as she can. We are truly happy and proud to have developed a great partnership with @franksay and even more glad she will share her stoke and valued experience with you! 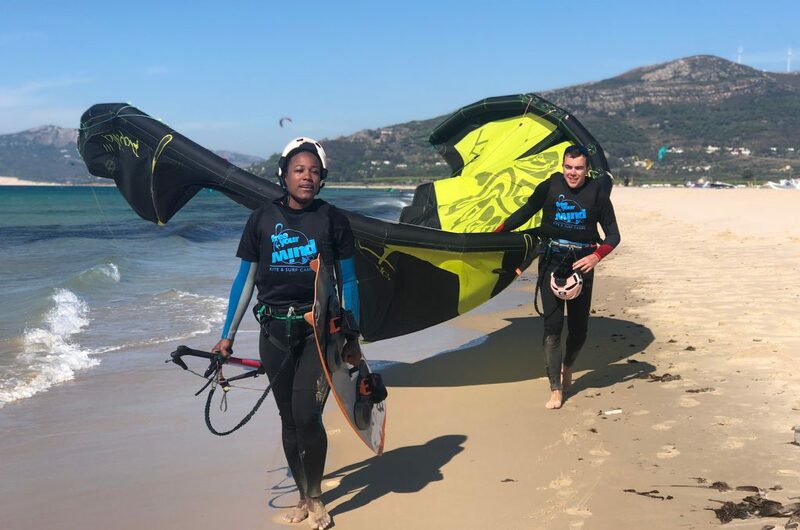 Catharina is following the GKA Kite world tour for the 3rd year in a row and we wish her a great year ahead in the competition, as they are just starting the first stop in Cabo Verde. And last but not least, our kite camps offer you unlimited kitesurfing classes and rental. Why? Well we want to make sure you will be out there all day long, applying what you have learned in our theory and practice exercises. 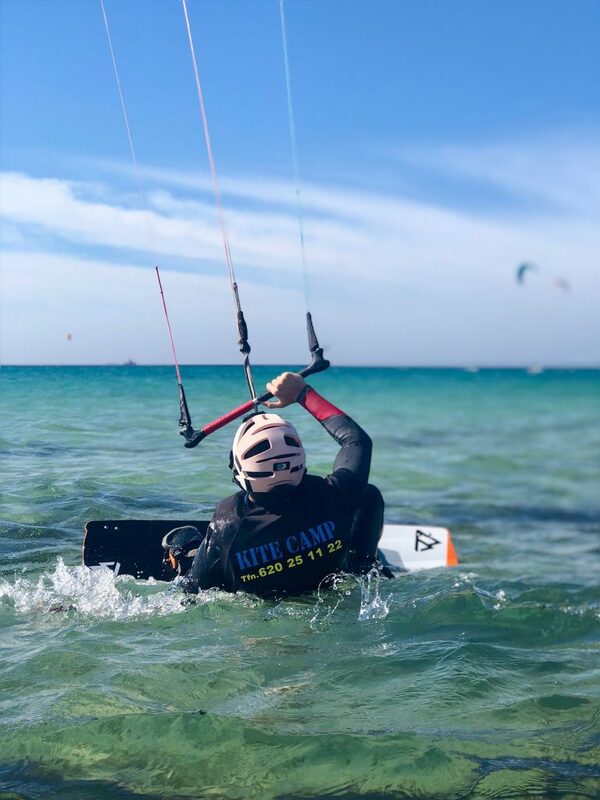 We have tailored for you a very complete learning experience, as putting emphasis in theory aspects such as your safety, how you should choose the equipment as well as different kitesurfing technics. Nevertheless, we would be more than happy to focus and develop certain areas of the learning process more than others, if you have a particular aim or interest. Just let us know! In conclusion, we guarantee you the insights and knowledge required for any kitesurf level or goal. Well now the only thing left for you to do, is join us for an unforgettable week in Tarifa! On the first day, we will pick you up at the airport and get you to our beautiful Tarifa, and get to know your camp buddies. Relax, get refreshed and lets start the holidays with a warm welcome from our team, in a comfortable and nice accommodation. As it is arrival day, there will be no kiting, but all will be set for your first night out in Tarifa, where we have prepared a lovely dinner together. We will start each day with a yoga session or workout followed by a healthy and delicious breakfast between 9h and 10h. And as from 11h, it is kitesurfing all day!. Windless day: many and fun alternative activities have been organised for you! Do not worry, we have it all covered! Please note that lunches and dinners are not included in the package but be sure that we will take you to the best places adapting to your taste and pockets 😉 ! On departure day, we will start with a nice breakfast at our hotel, and we will take you on our transfer shuttle to the airport. * Airport transfers shuttle available at fixed times for arrival and departure. ** We are happy to assist you in searching for the most economic flights. *** Travel insurance is mandatory for all travelers. 50% deposit required for reservation; remaining 50% is in cash on the arrival day. Please note: your reservation is only valid and your accommodation guaranteed upon confirmation of the deposit payment. This camp is based on a Minimum Number of passengers traveling: if any such minimum is not reached by the deadline, we reserve the right to cancel the activity and you will receive a full refund. 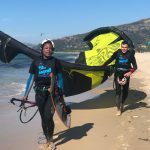 We welcome all types of riders from beginners & refreshers to advanced kitesurfers! Also if you are bringing your own equipment, camp price is only €790. And finally, all transfers are included in the price if arrival & departure days match the kite camp dates. BOOK YOUR HOLIDAYS IN TARIFA NOW! Our Kiteschool in Tarifa was founded more than 10 years ago now! And what better place to have your home spot, than in the Mecca of kitesurf. We are that lucky, yes! We invite you to come and meet our cosmopolitan community of ocean and wind lovers, living in the southern point of our continent. 🙂 Remember that Tarifa is THE capital of wind of Europe, with almost 365 windy and sunny days per year. So besides being an amazing kitesurfing spot, Tarifa has earn its reputation for great food, good wine, incredible nightlife but also for being an exceptional playground for many different other sports and activities. From surfing or mountain biking to visiting the famous White Villages of Andalusia, or even hiking to the top of mountains, you can be sure there is always something to do or see here!